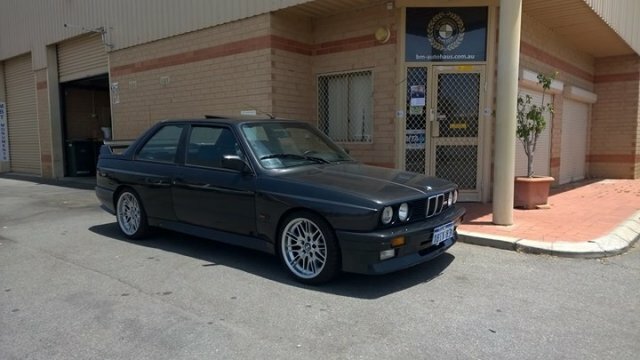 This 1987 BMW e30M3 has a history in Perth, Brought in for Kush B-M then traded to me for the LHD e30 325i with S14, then sold to Bruce E and traded back to me for a project RHD e30M3, this is a standard car in Boring Spec’….well it was, but the basic upgrades -Chip, intake porting and 50/50mm extractors is still a beauty to own and drive! 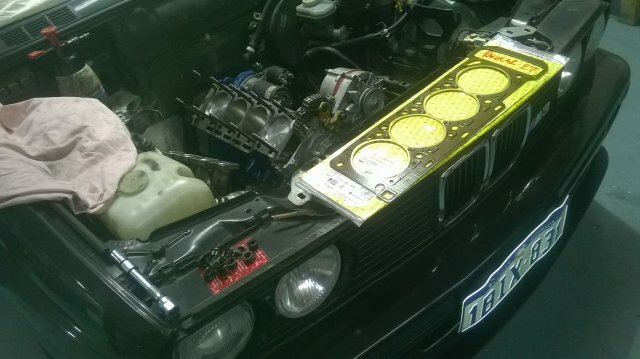 Having taken this back with cracked windscreen and multiple dents and scratches has sat in the showroom!……One hopefully day a Tribute “Jimmy” JPS M3 for the street…They never built one …But I can and want one!! 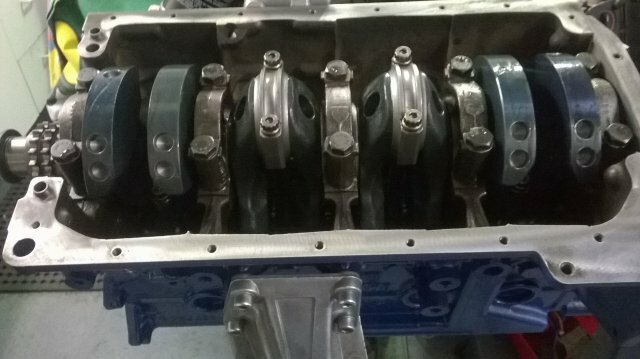 Upgrading?….Yes I have to “Upspec” with factory S14 2.5 Evo’ motor from the U.K with 48mm throttle bodies! 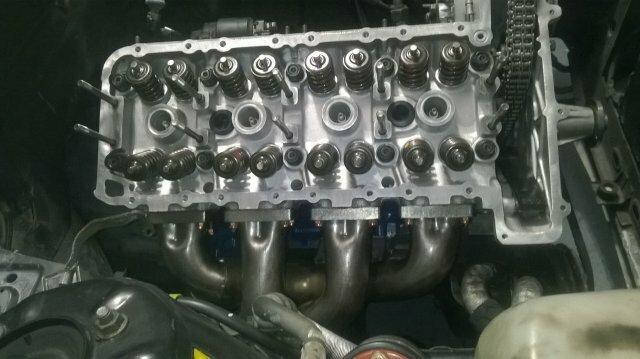 Using s38b38 larger intake valves and light porting to the intake side of the head , BMW Motorsport new valve springs and 276schrick intake camshaft (Street use),Evo intake camshaft moves to the exhaust side, the block being built already with Wisco Pistons, Factory Evo’ 2.5 Crank and Aftermarket “H” Beam Connecting Rods /ARP 2000 bolts, ARP Head Stud Kit used, as we do on all Performance Engines ! 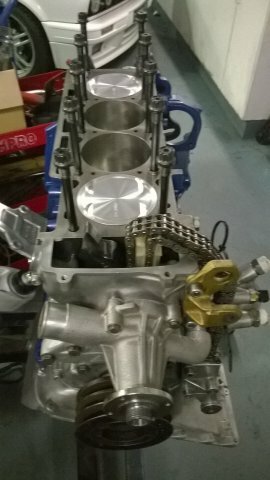 Update 6 to 12/2015- A very slow build of the motor has happened, now the end of the year (2015) the 2.5ltr Evo’ bottom end is built! 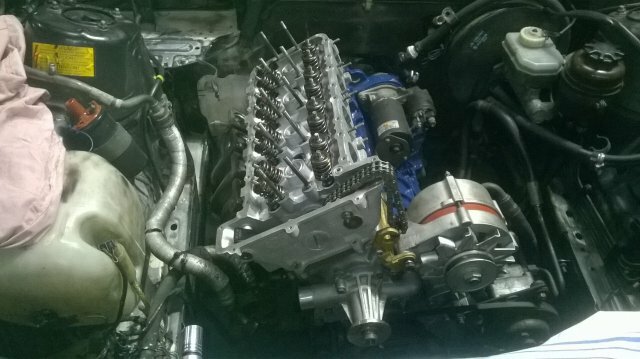 Update 7/2016- Sold the Standard 2.3 S14 motor (we put in a Dan’s 2002!) 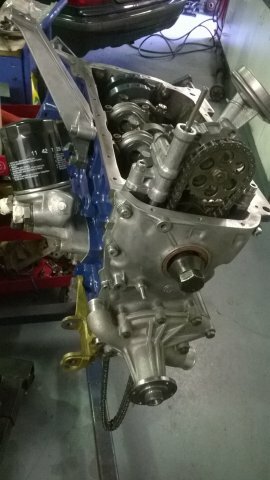 reading for the 2.5 Evo’ motor fit!! 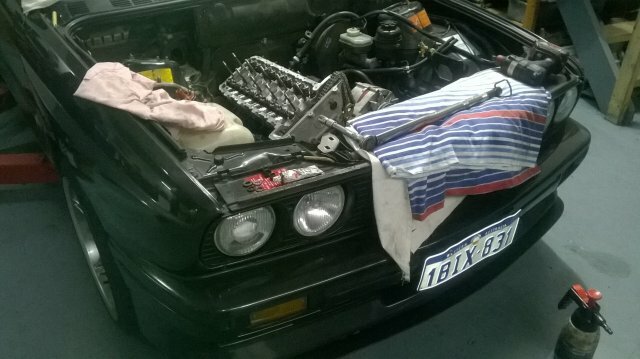 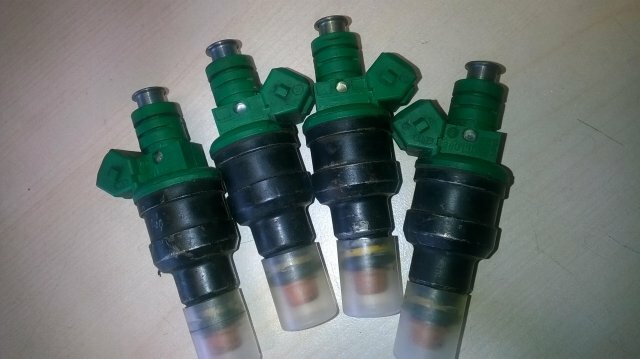 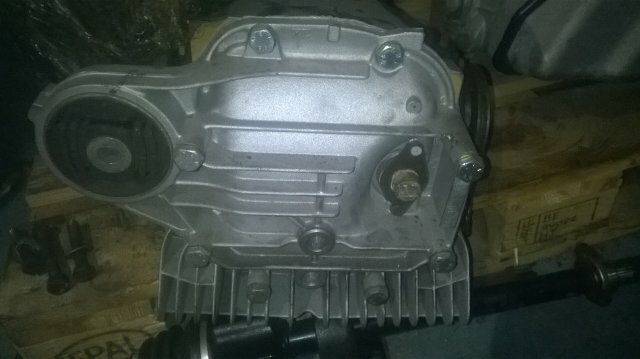 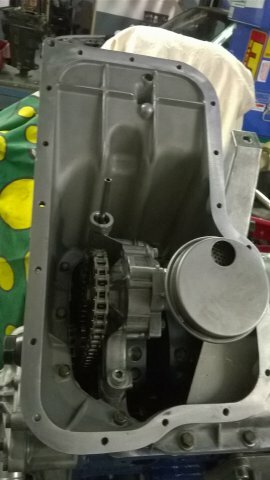 Update 8/2016- Motor out reading for the 2.5!, Found the e30 has developed the normal cracking around the engine mount on the front cross-member….AKG parts on there way to fix…….they are here already….lets weld!!!! 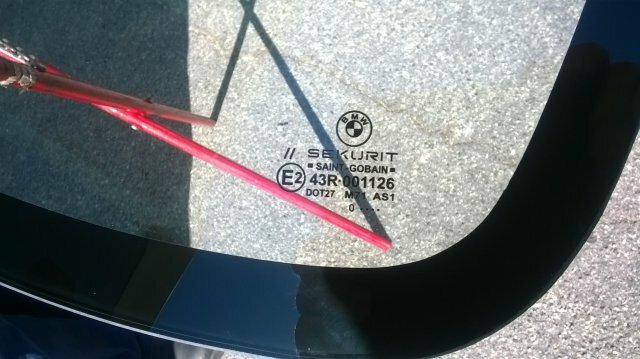 Update 9/2016- While awaiting my 1990 Evo’-2 head to come back from Neil……thought I’d get into other bits, the windscreen got a chip that turned into a crack, Shannon’s Insurance are fantastic! 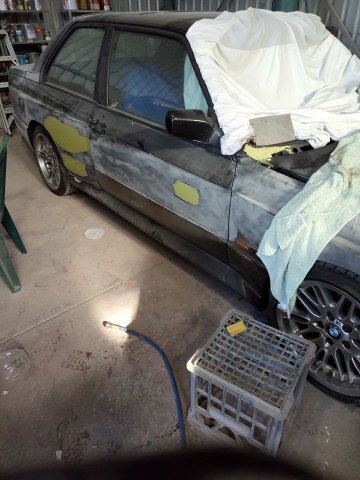 Replacing with a “Original” BMW screen like it had, unfortunately this is a 29 year old car and has a couple of rust spots hiding behind the screen! 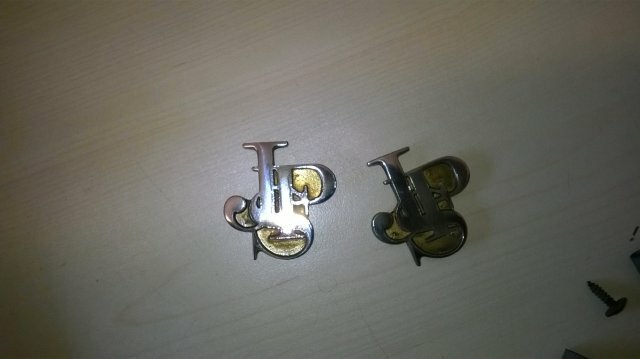 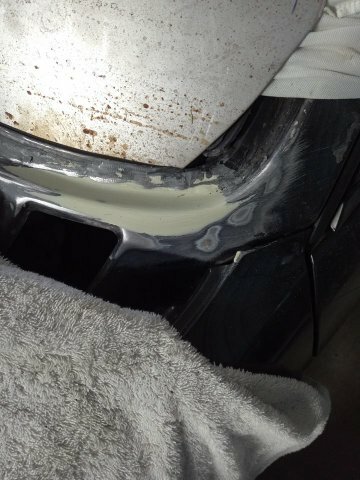 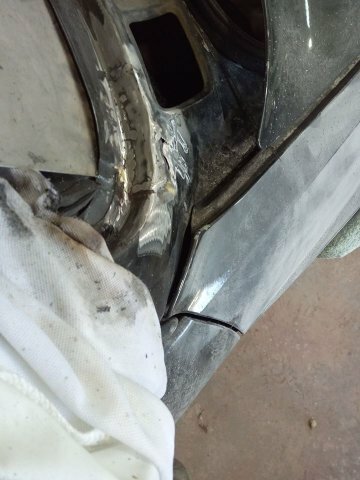 so after that is repaired they will return and fit! 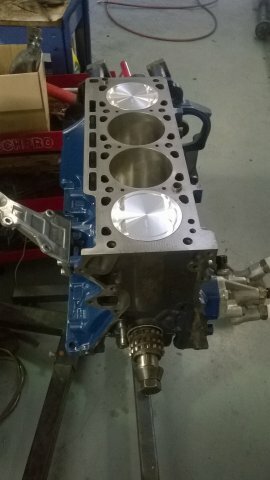 Update 10/2016 - S14 Evo’ head back from Neil and sitting on the bench to I get ….time!!! 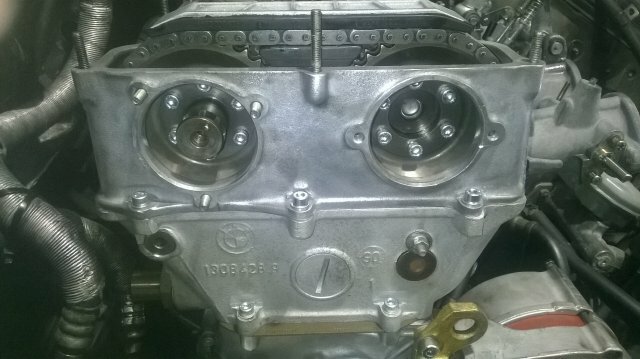 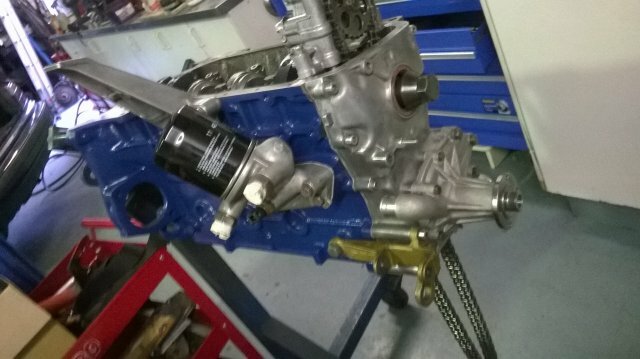 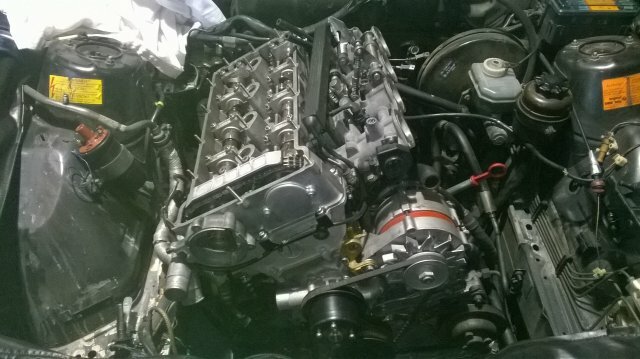 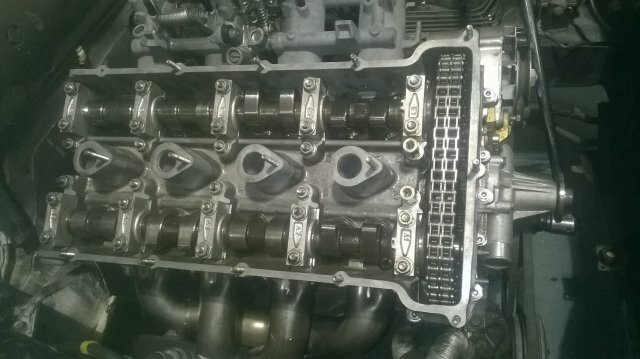 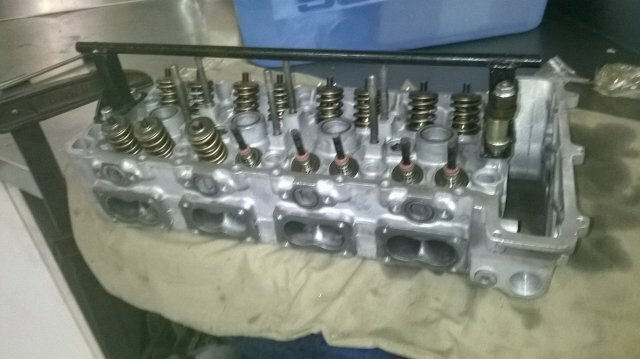 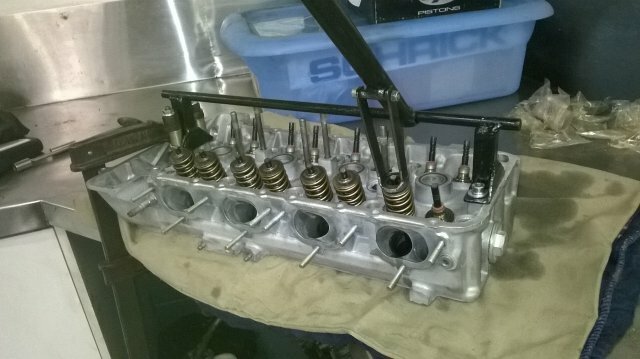 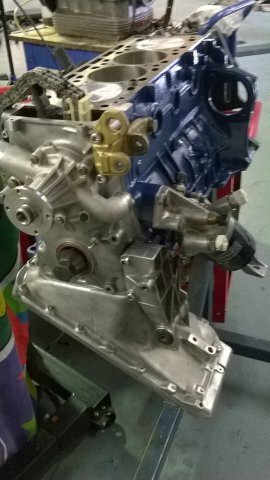 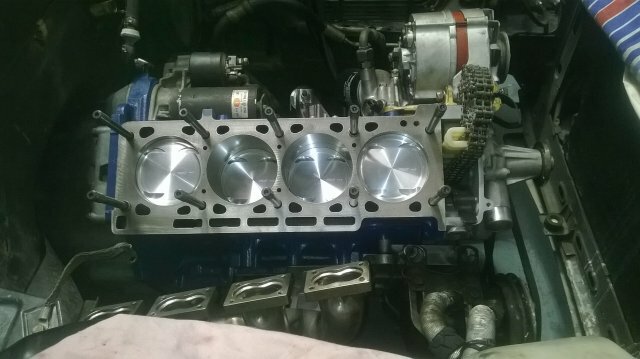 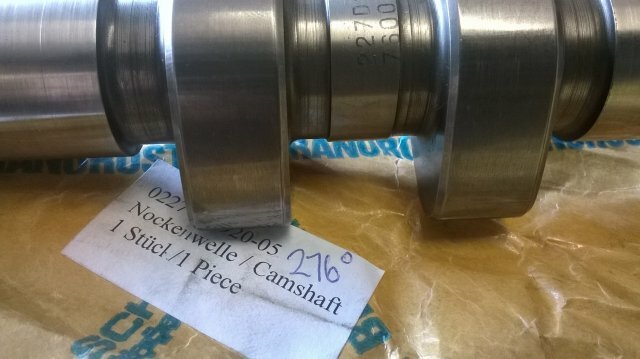 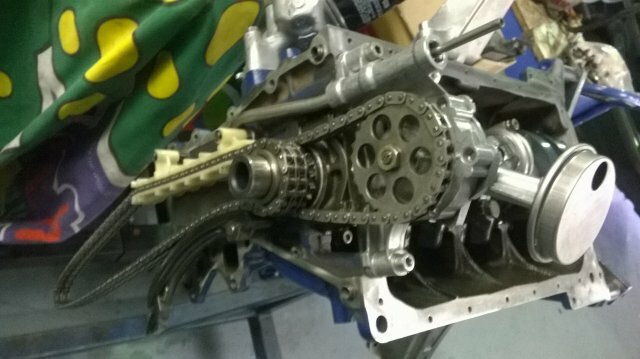 Update 12/2016- (Xmas Break) S14 Evo Head has been assembled with larger Factory valves (S38) ,New Motorsport v/springs, etc , with New Original BMW Motorsport cylinder head gasket, bolted and torqued down to the block on ARP HSK!…… along with a New set of 50/50 Extractors! 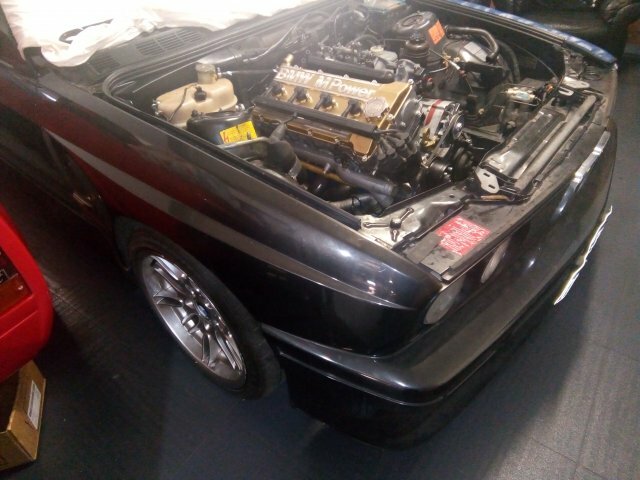 Update 4/2017- Very little has happened lately to this beautiful m3 due to work/projects needing the attention, but this month the cambox, the spare Schrick 276 cam and the Evo-2 (inlet) cam to exhaust side now, is in and done, also the Evo Sport 48mm Throtlebodies! 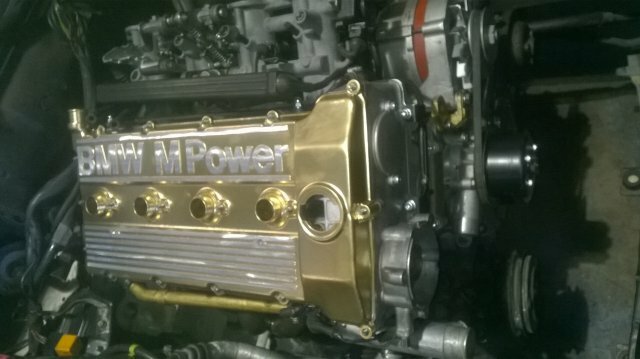 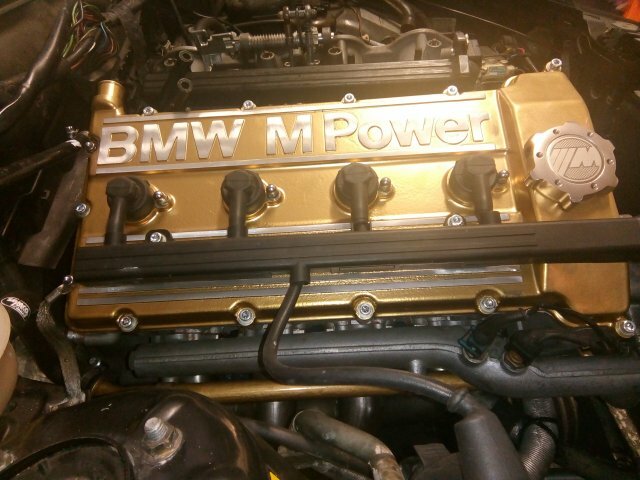 a 4.10LSD with BMW’s “M Coupe” Finned rear cover now ready to swap which removes the standard 3.25LSD!…New “Evo” injectors and a Quick spray of GOLD to the Rocker Cover, now dry will wiz up the protruding cast alloy parts that say BMW Motorsport! 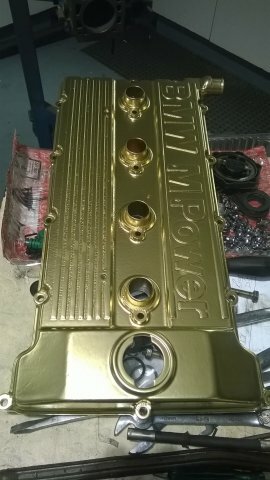 Update 11/2017- Been flat out with Customers projects to complete my own sofar this year! 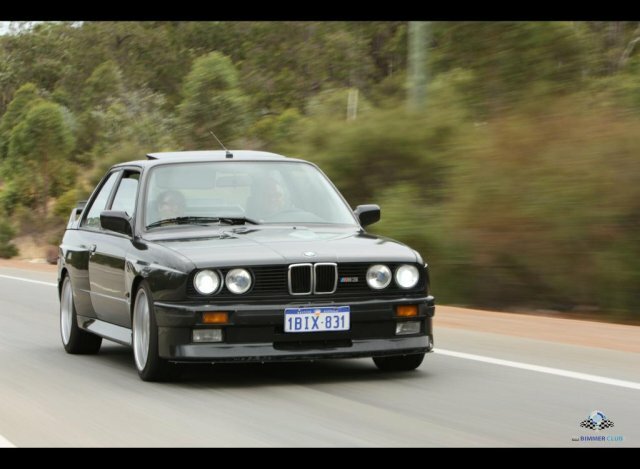 However looking forward to the Xmas break to have a crack at finishing!! 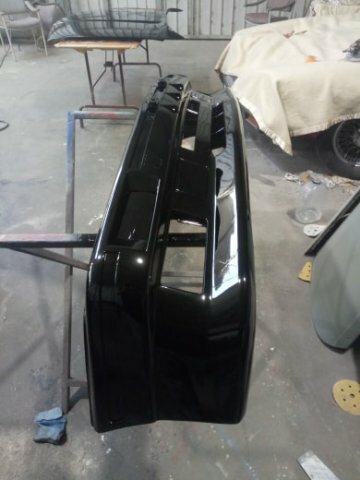 Update 1/2018- Ok Xmas has come and gone…and yes didn’t get a chance to work on this one again, had to get the 131 rally4d stripped and to new spray painter! 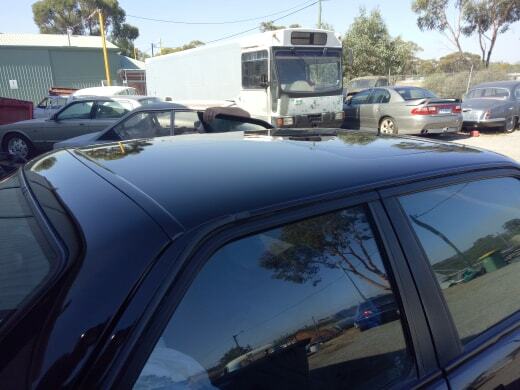 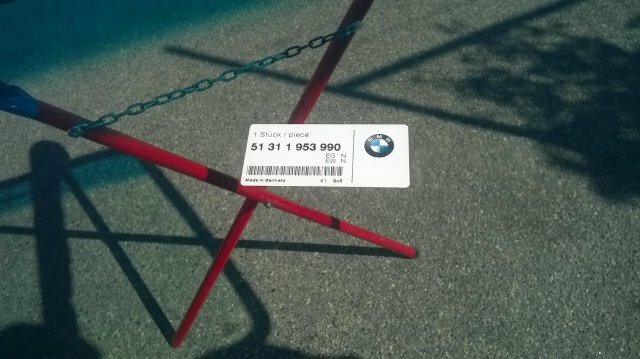 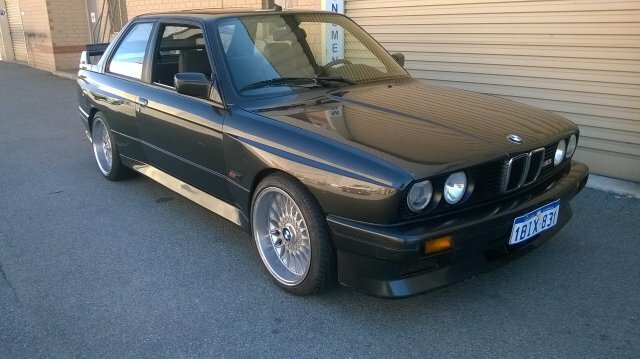 !….However it is in the works to be done, along with a new BMW original windscreen!! 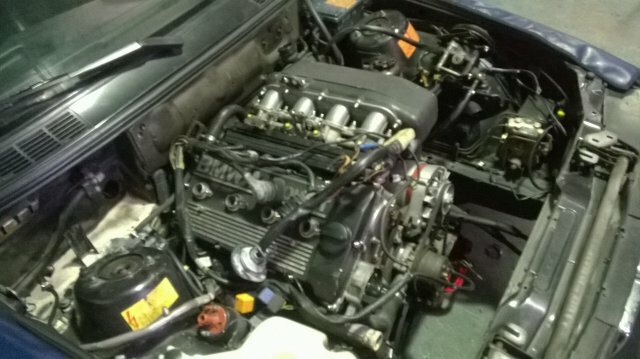 Update 7&8/2018- Finally got to work on my own M3! 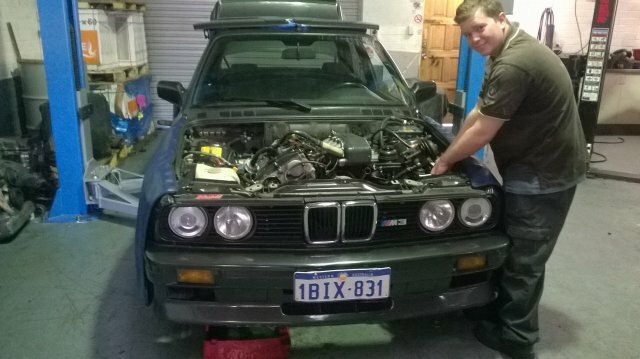 Yes finished Vito’s 2.7S14 so can do Weetbix! 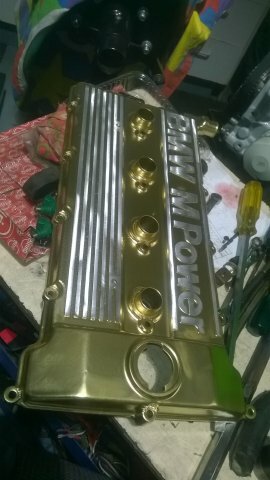 With the tappets done and sealed up the top of the motor with the “Gold” rocker Cover, start bolting back on the rest of parts…….Week2 Start and run new motor……..Week4 up to Wayne for a couple of tiny rust spots near the water drain in the bottom windscreen ledge, then its back to the shop for the new windscreen and time to “Run in” the 2.5!!! 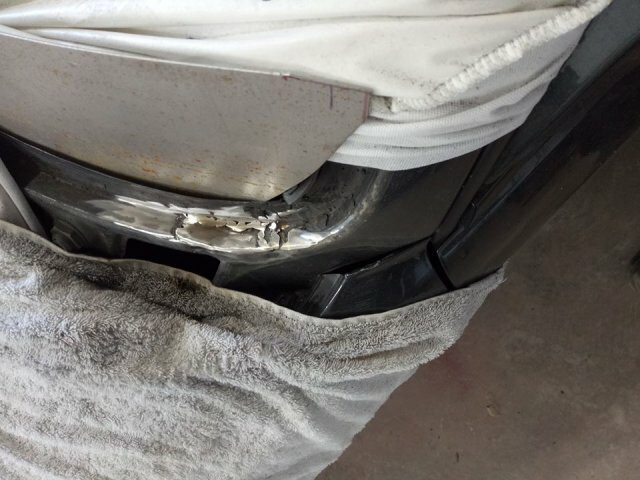 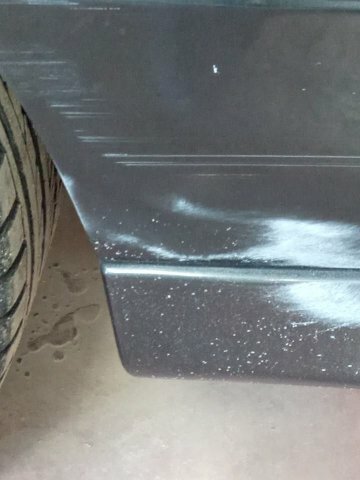 Update 9/2018 – Yes its gone from a slight windscreen surround rust touch-up to an all over with dents fixed and paint!!…Hahaha!! 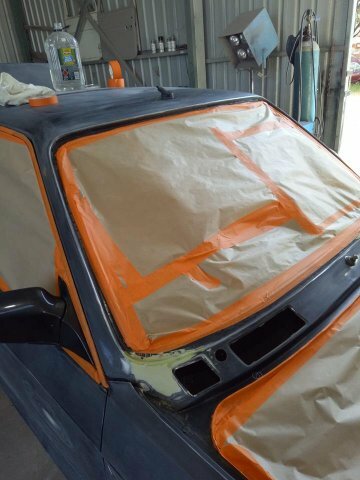 Update 10/2018- “Weetbix” is still with Wayne for bodywork and paint. 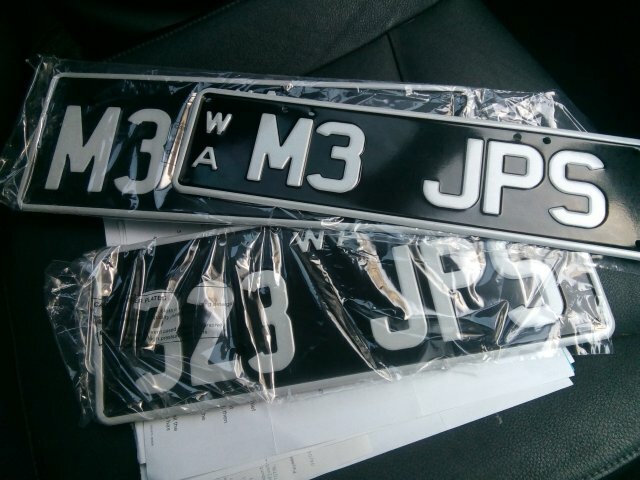 Update 12/2018- “Weetbix” is still with Wayne (he is not well)….However have ordered my Personal number plates JPS style …pick up January!! 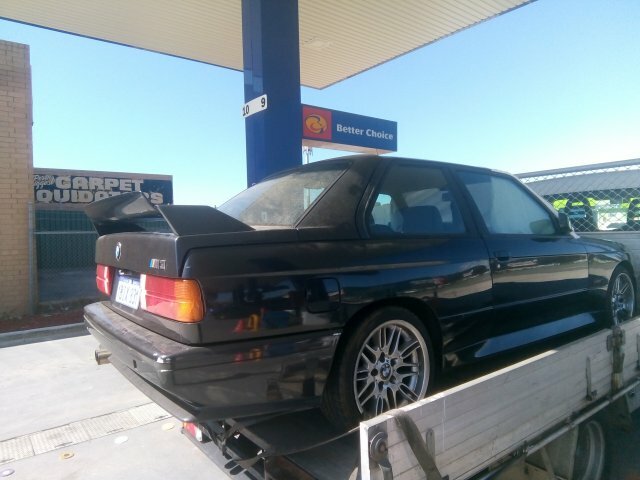 Update 1/2019- “Weetbix” is still with Wayne …But now a name change, it is time…..this is becoming what I dreamed of for years.....a JPS E30M3 “Jimmy Tribute” , the number plates have been collected…..“M3 JPS”….”when” back it will get the thick gold stripe and Gold centred BBS like the original JPS ,badgework like my BMW JPS 323i…….I am looking at March timeline to have back!??! 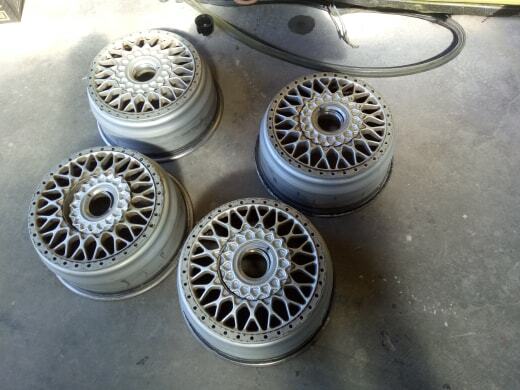 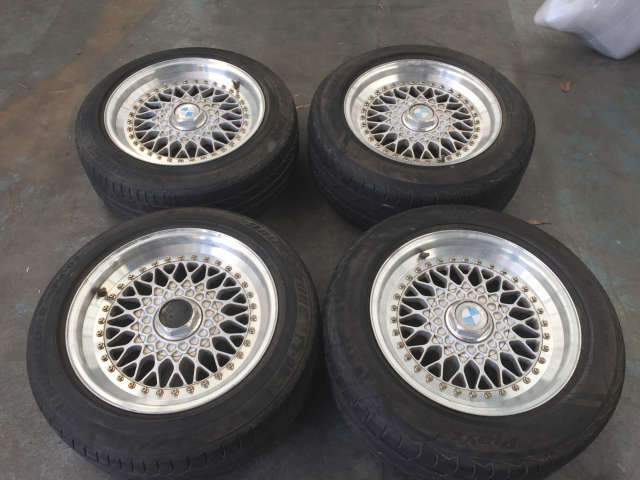 Update 2/2019- After 3 people trying to sell me the same set of 16×8 BBS RS’s.…and not getting of there backside to deliver to me!….look at an add on FB rang and purchased including freight…. 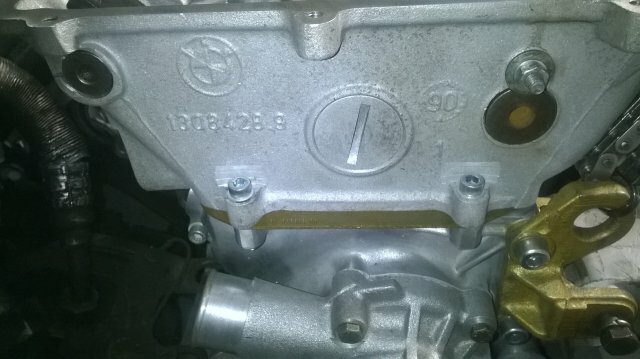 myself, saving about $850 in total!….Now in my hands will strip and referb’ in gold ! 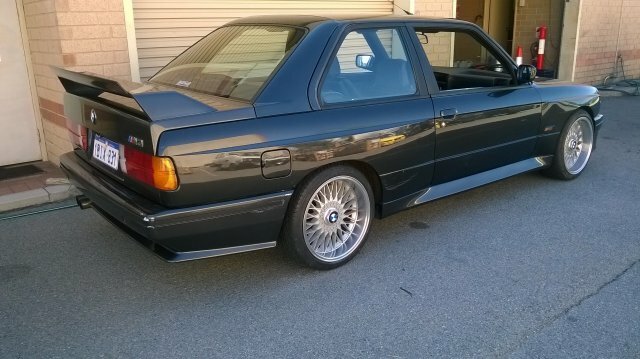 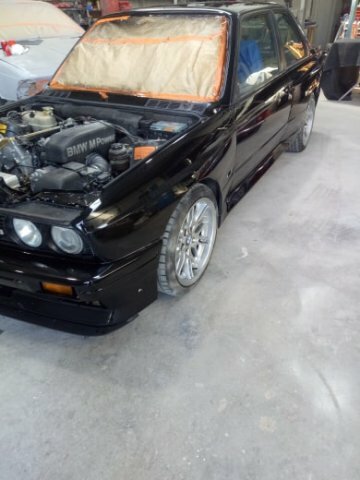 !….week2- The M3 is Now painted JPS Black! 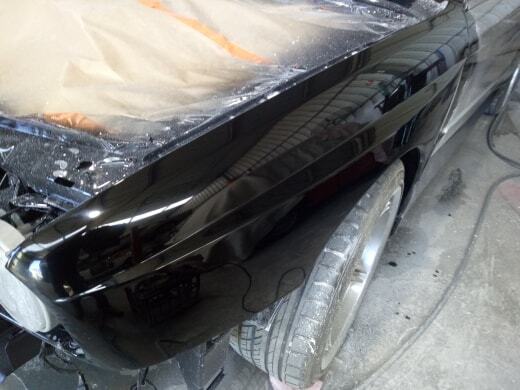 !….after waiting a few days then the clear coat, time for hardening and buff.…Happy days!! 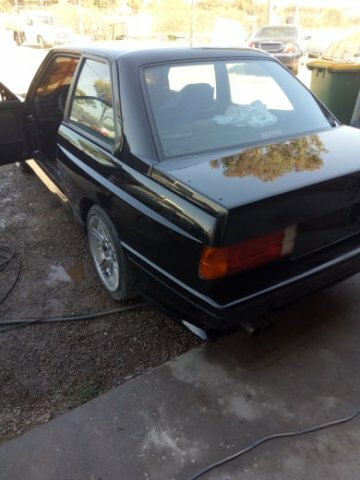 Update 4/2019- week-1 Been told this week to get the Black beauty back!! 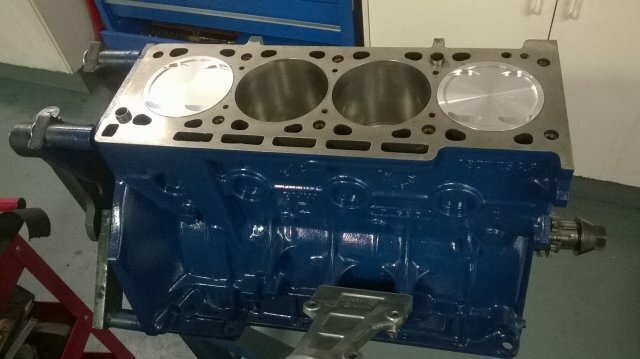 !….ok next week!…..week-3?